The foods that are put into our mouths provide the materials that make up the body. So if fatty, over processed, nutrient empty, and carcinogenic concoctions are going in what is that person made of? Whats worse is that people do it on purpose! To make healthy bodies begins with making healthy choices and the simplest begin with drinking clean pure water (not from the tap), getting healthy foods, eating our veggies, and taking in quality supplements. It really is not complicated. Although, it does require a change in habit and commitment to follow through. All of the accumulated fat and junk has to go in order for the nutritious building blocks to be absorbed into the body. They get their walking papers when you start walking, jogging, running, biking, hiking, exercising, or just getting active. With the greater activity comes faster removal of garbage. Simply doing a little prior planning will help with the day to day grind. Be sure to have some nutritious snack bars instead of going to the closest dive. Packed with vitamins and protein to maintain energy throughout the day. Keep and orange, banana, apple, or fruit of your choice close as a hold over until getting home to the cost effective home cooked healthy meal. With this in mind you avoid the garbage man and shed off everything that was brought before in order to develop the Better You! 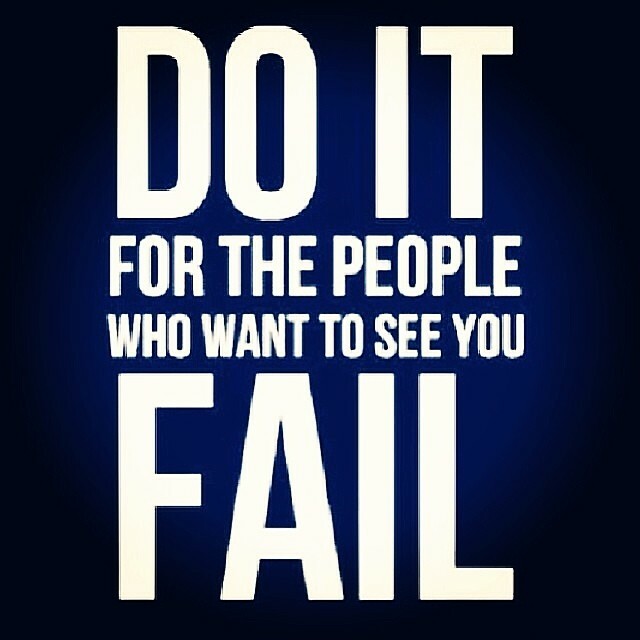 Believe it or not there are people around you that do not want you to succeed. Many are not doing it for malicious reasons, more so for a personal excuse to perpetuate their laziness and acceptance of failure. You are a shining example of what hard work, perseverance, and discipline brings. You must do it to for them just as much as yourself because they need you to inspire them! People are watching to get hope because they tend to be to scared to accept the challenge and become champions. So they look for those who let excuses distract them to become evidence. It is up to you to become inspiration! Be a catalyst, tell everyone that you have committed to become the Better You and how you are doing it to gather up your audience and you will find that many will look to you in their quest. Tell no one and you will find that people will recognize the changes in you and it will gather an audience that will look to you in their quest. Either way they need you to inspire them! Use your audience to keep you honest and on track. It will remind you of the responsibility to want it more than what you had and your light will guide those who would otherwise self-sabotage and fail to achievement. Everyday there will be something that provides a distraction to what you have set forth to accomplish. Excuses are what will let them be successful. They will play on weakness and only bring forth exactly what you have gotten so far. To maintain your discipline and achieve your goal all you have to do is want it bad enough. Most people only kind of want to accomplish their goals, mainly because they want the sugary junk food, carb loaded pastas, and hip hugging creams more than looking in the mirror and be pleased with the better physical version of themselves that brings along better health, immune defense, and self-esteem. All of which amounts to the Better You. Become the minority by making a decision to really accomplish what the heart and mind desire. It is all about wanting enough. Wanting enough to move heaven and earth or just reach past the soft drinks to the bottled water. It is about wanting enough to not wait until someone has one foot in the grave to change or even until tomorrow. Want it now, want it so bad that you can taste it in your spit. 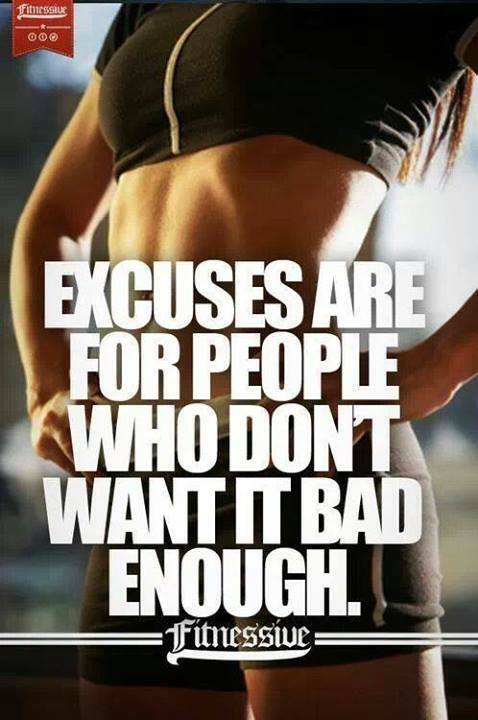 That is how bad you have to want it to overcome excuses. You can do it! You will earn it. You will be a Champion! You will be the Better You! Having love of self is the first step in becoming the Better You. When this idea is made up in the mind then it only takes follow through of action. Taking the steps to make sure that you will be successful in your challenge. Take away all those items that may cause you to stumble. Beginning with what food is in the house will avoid self sabotage. If there is no fat food around then there is no fat food to eat. Fill the cupboards and refridgerator with only quality and nutritious food. Make your lunch ahead of time so that there is no need to pick up food when doing the daily routine. Keep ready to eat snacks in the car, at the desk, or even in your pockets. Have the forethought to ensure that the best possible outcome for the body, which in turn helps the mind. Love yourself enough to make the picture of the Better You that is in your mind to be the same as the one that is in the mirror. All of these people have gone down the same path and you can too. The Self Love Prevents Self Sabotage. 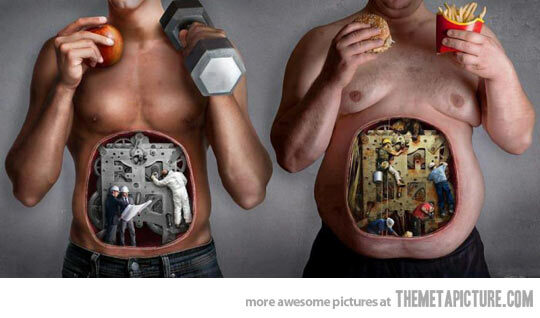 What food you eat determines what you are, so thinking about everything you eat what is your description? Overcoming the easy meal is a result of proper planning. We know that we need to eat each day and investing the time to visit the grocer to get the ingredients to make lunch each day, have the foods available for a balanced dinner, and get the appropriate supplements to provide for their nutritional needs will make the best description of you. Know what your food is and you will know you. Those who feel that they just do not have the time to make proper decisions just need to evaluate where the time goes. TV (kill your TV), sleep, sitting around, activities all need to be judged on how much they are helping to make the Better You. It is always more time consuming and expensive when a person is sidelined for bad health. It is more than just junk food and fast food, they are easy to identify, but what are the ingredients in the rest of the food eaten? Fewer ingredients the better and fewer chemicals the better. Many have a diet full of vegatables, fruit, smoothies, and sparing meats which is AWESOME! Go on you! There still needs to be the addition of supplements to make up for the lack of nutrients in even the most organic of diets. Getting a multinutrient is key to nutrient absorbtion and balanced to be able to tackle the world. Be described as healthy. 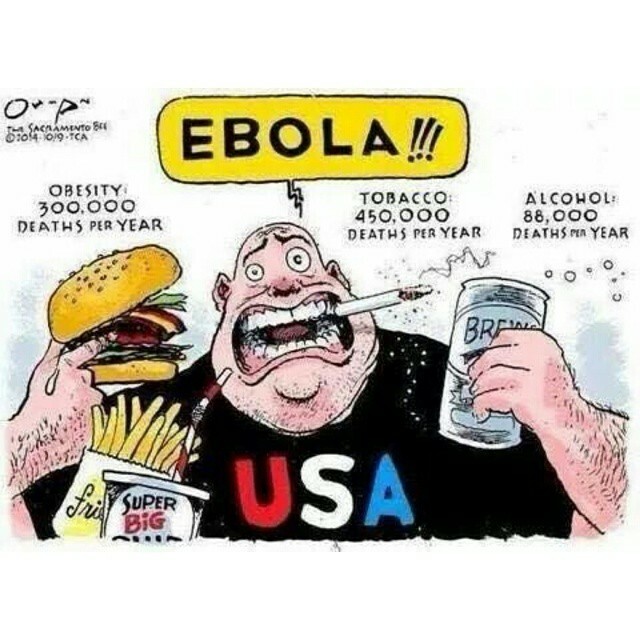 The world is quickly becoming awash with Ebola hysteria, but people need some perspective. Ebola has been given credit for some 4,000 deaths according to the World Health Organization. Consider though how many people die of obesity, tobacco, and alcohol related issues. People are quickly washing everything, changing travel arrangements, and thinking twice about even shaking hands, but what changes are people willing to do for their health? Health is something that we all have control over and further to that to keeping it in peak performance will ward off most illnesses, infections, and viruses. Take into account that 80% of the body’s immune system is in the digestive system, so being sure to get fruits and vegatables will provide the best defense. Along with probiotics that will replenish the good flora for best digestion, nutrient absorbtion, and weight balance. You do not have to eat up bowl of fruit loops hysteria and craziness, just be the Better You and focus on your health as the best defense, help others do the same, and get your supplements. These will keep away far more dangerous health maladies and be an example of discipline and inspiration to calm down those around you. 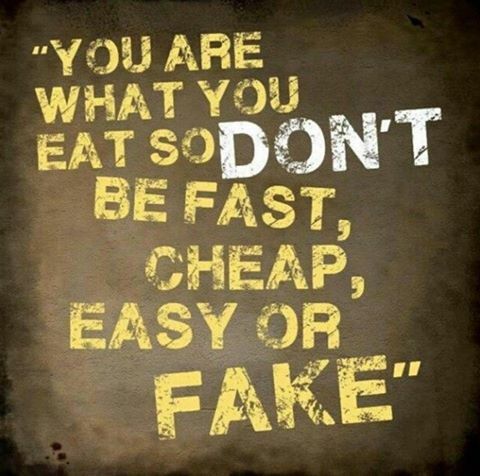 What we eat is what provides the fuel for our bodies along with the materials that will be used to build it up. The question is how does the food you eat make you feel? You feel sluggish? You feel fatigued? You feel bloated? You feel heavy? You feel fat? When the body does not get the vitamins and minerals it needs then these feelings come. Fact of the matter is that without nutrients the body is not satiated and does not replenish itself appropriately. 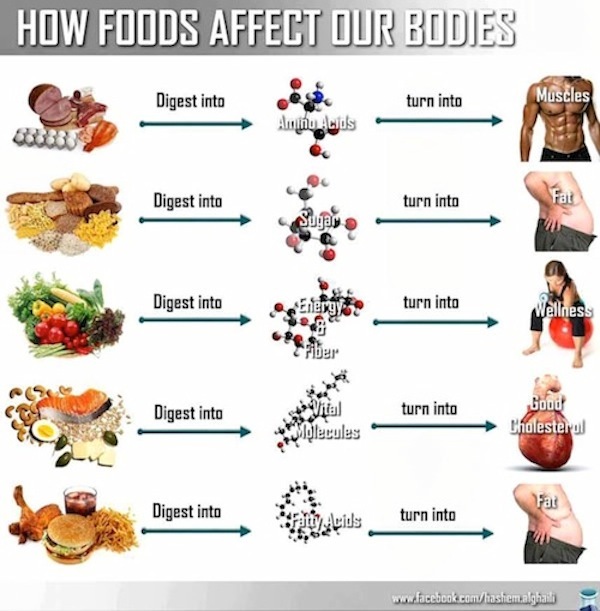 Even when a person is eating a balanced meal the food itself is not nutrient dense, meaning that you would have to eat an exorbant amount of it and it still would not have enough of what is needed for optimum performance and growth. That is why supplements are so necessary in todays modern diet to not come up short. In the modern factory farm system the soil does not replensish its nutrients so fertilizers are used and these ferilizers do not have the full spectrum of nutrients that would be provided through the natural growth and decay process. Yielding crops that may be more numerous and bigger, but not rich in what the body needs for health. When the needs are not met you stay hungry, which can in turn increase fat storage, create health issues, sickness, and imbalance. To overcome this an intense fitness regimen is key along with a healthy lifestyle that includes a supplement regimen that incorporates the lack of vitamins and minerals. Achieving intake of vitamins and minerals allows the body to balance out, giving more energy to perform throughout the day. It permits top performance of the body that sheds unnecessary pounds to bring forth the Better You, who is vibrant and can take on the world. The amount of fitness that is done determines the speed of the accomplishment and is what builds up the discipline to stay healthy and become the vision that you want to put forth. Which describes you? Eating nutritious foods, working out, and taking supplements will work wonders in creating the chiseled, well defined, and well built you. Eating fat food, sitting on your rump, and being on the computer all day will create the typical picture of an American, well greased. From this point forward accept the challenge to build the Better You! Through identifiying the root causes of setbacks a foundation can be made and construction begin. First, how do you feel about your energy level? mental attitude? self-image? What fear has held up the progress? The mind must determine what needs to be accomplished and what the desired finished product is to visualize how to get to the end result. Now, it is about action! Constantly tell the little negative voice STFU! You have decided to be the Better You and that is what is going to happen. People know the foods to avoid and the little actions that will bring them closer to the goal, just do them. There are no ribbons for good effort and there is change only through completion. Plan your work and work your plan! Its not the enemy that you must fight, its the inner me that you must build. You are what you eat. Eat crap and you get cancer, diabetes, auto immune disease, premature aging, fatigue, and/or just fat. Eat your veggies, you get benefits and defense against all of these maladies and more. 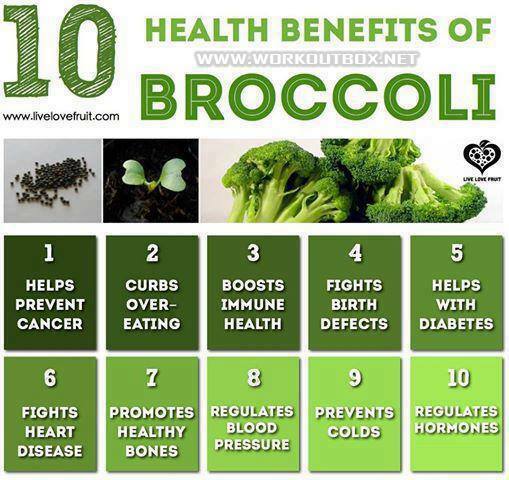 This is just the benefits of broccoli, which is in the same family as cabbage and cauliflower, the power is magnified with other vegatables when in a salad. Add fruit for your bonus and supplements for even more healthy material to rebuild the Better You. For years your body is/has been ravaged by toxins and poisons from food and air. To relieve yourself of their side effects it is simple eat nutrtious food and exercise. All it takes is the desire to want the Better You more than the convenience of junk foods and being lazy. Make the decision to change your life, change your family, change your situation! One person has a profound affect on everything that they come in contact with. Your choice will inspire family, friends, co-workers, relatives, and even strangers across the world. Begin the wave today to start or accelerate the path to the Better You!